Homeownership levels in the UK have been declining since 2002, and are now at the lowest level since 1988. There is now a homeownership gap of 5 million people who don’t own their own home but want to, while in London there are now more renters than owner occupiers. One major cause is that fewer people have enough capital to cover the upfront costs to buying a home, specifically the deposit and stamp duty. The fastest increase in upfront capital costs is stamp duty, which has risen 5 times faster than house prices since 1995/6, and now averages about £6000 per transaction across the UK, and nearly £18,000 per transaction on London. A major part of the problem for homebuyers is competition from capital rich buy-to-let landlords, international property investors and second homeowners, who are in a better position to afford the upfront costs. In London, two thirds of properties are bought by investors rather than owner-occupiers, with the figure rising to 90% in some developments. At present, the stamp duty system does not differentiate between someone trying to buy a home to live in, and an international property speculator. Indeed, property investors, both British and international, enjoy the same stamp duty breaks at the lower end of the property market as homeowners do. The property market should be tilted towards homeowners and away from property investors by reducing the stamp duty for homebuyers, and paying for it by increasing the stamp duty for property investors, buy-to-let landlords and second homeowners. More precisely, stamp duty should be reduced for those buying flats or houses to be their primary residential property, and increasing it for those buying the property for other purposes. This will help overcome one of the major hurdles faced by homeowners, and give them a running start against property investors. Helping homebuyers by increasing taxes on property investors, buy-to-let landlords and second homeowners has obvious political appeal, across the political spectrum. There are many economic and social benefits to increasing homeownership and reducing renting, such as reducing poverty and benefit dependency, and increasing family stability. Cutting costs for homebuyers by increasing them for various types of property investors compensates for those externalities. 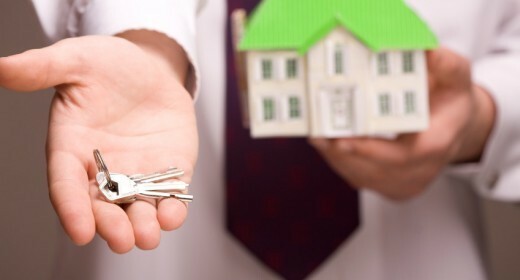 From the government’s perspective, the changes can be calibrated to ensure there would be no short term fiscal costs and long term fiscal benefits: the tax is only reduced for homebuyers by an amount that ensures its fiscal impact is equal and opposite to the increase on property investors. Stamp duty is a “progressive” tax, in that it is zero rated for properties costing up to £125,000, with progressively higher rates for more expensive properties. This zero rating for under £125,000 is in effect a subsidy for buyers of lower cost properties, justified on the social and economic grounds that it benefits homebuyers at the bottom end of the market, particularly first time homebuyers. The most common stamp duty paid is now 3%, and all purchases of properties below £500,000 are in effect subsidised (from buyers of more expensive properties to cheaper ones, given the need for a set fiscal take). However, international property investors, buy-to-let landlords and second homeowners also benefit from this effective subsidy, without any rationale for them doing so. For investors, there is no economic or social reason for stamp duty to be structured as a progressive tax. For anyone not buying their primary residential property, stamp duty should not be a progressive tax, but a flat rate tax, set at a flat rate (such as 7%) on the entire cost of the property – just as VAT is a flat rate tax levied as a fixed proportion of transaction costs. With investors in parts of the country now outnumbering homebuyers, this is no longer an insignificant quirk of the tax system, but a key determinant of the housing market. Administrators of the tax system might claim that it is impractical to distinguish between those buying flats or houses as primary residential properties, and those buying it for other purposes; and that it might also open it up to fraud. Both arguments are without merit. The tax system already distinguishes between properties bought as primary residential properties and for other purposes: if it is a primary residential property it does not incur capital gains tax; whereas it does for other purposes (unless it is a foreign investor, when they don’t even have to pay capital gains tax). The same “flag” signaling a property as primary residential for capital gains tax purposes could be used for stamp duty purposes. Clearly there is a risk of fraud, as anywhere else in the tax system. But the risk of fraud is not a reason for not taxing something, but rather a reason for stronger enforcement. The overwhelming majority of transactions would be honestly based. A legitimate concern is the impact on the housing market, given that property investors have become such a driving force behind house price rises. There is also a need to ensure a healthy rental sector. The solution to that is for the government to adopt a gradualist approach: to start with, only increase stamp duty on property investors to a minimum rate of 3% on all properties below £500,000, and use the money to reduce stamp duty for homebuyers buying below £500,000. At that rate, it is unlikely to have a major impact, and it can then be increased subsequently to 5% or 7%. Given that international property investor are such a large part of the market, and that they pay no capital gains tax (unlike UK property investors), even high rates of stamp duty are unlikely to be a deterrent.